Melange Books - Fire and Ice YA, 9781680462708, 248pp. 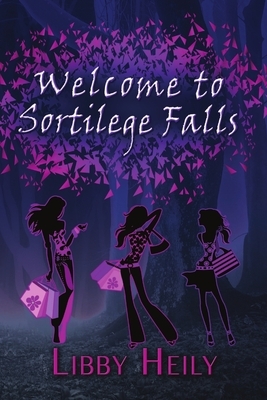 Sixteen-year-old Grape Merriweather has just moved to Sortilege Falls and already she knows something isn't right. A small pack of teenage models, too beautiful for words, hold the town in their sway. The models have no plans on making Grape's life easy. But no matter how cruel they are to Grape and the other "Normals," no one can stay angry with them for long. Grape's life changes for the better, or so she thinks, when Mandy, the only "nice" model, befriends her. But that's when the trouble truly begins. Mandy's friendship places Grape smack in the middle of a medical mystery that has the entire town on edge. One by one, the models fall ill from an incurable disease. Grape quickly realizes that the models' parents are hiding a secret, even as they watch their children die. To save her only friend, Grape will have to find the truth-and that means putting her life in danger.